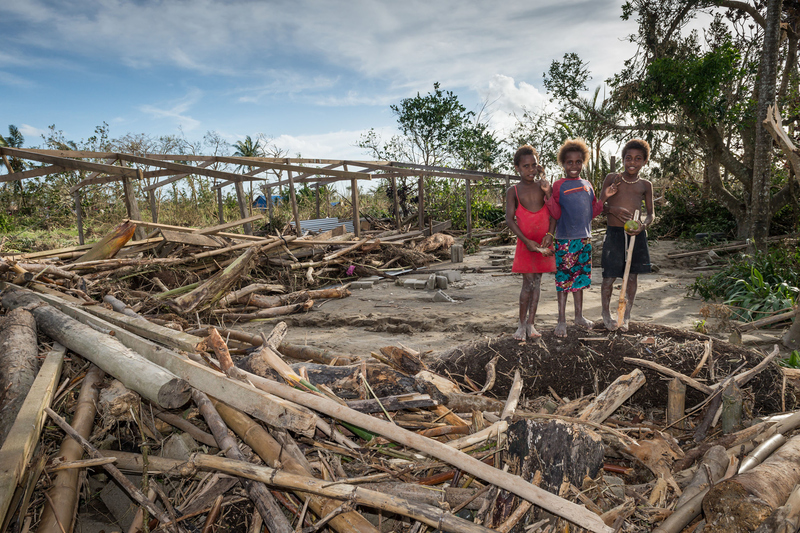 As clean-up and rebuilding begins in Vanuatu after category five storm Tropical Cyclone Pam devastated the island nation, countries around the world are helping residents find access to food, shelter, clothing, medical supplies and clean drinking water. However, in addition to the basic needs, local schools and libraries have put out a call for book donations to Vanuatu. Cyclone Pam's destruction to the South Pacific nation can not be overstated. It has been called the worst storm to ever hit the Pacific region, and it battered down directly on the 83 small islands that make up the Vanuatu archipelago for 24 straight hours. Entire villages were quite literally blown away. The roof of the main school in Vanuatu's capital, Port Vila, was blown off in the storm. Thousands of books have been damaged beyond repair, and the books teachers, librarians, and volunteers have been able to salvage now lie outside in the sun to dry. Paul Alexander Hetyey, headmaster Port Vila Central School is determined to re-open the doors next week, but the school is in desperate need of books to replace the ones that have been lost. "There are a lot of book warehouses out there," Hetyey told Reuters. "Well, we need good books, good encyclopedias, reference books, all subjects, reading books from kindy [kindergarten] right up to year 13 young adult books." To donate textbooks, literature, or good old fashioned money, contact one of the many organizations working to help Vanudu relief efforts.